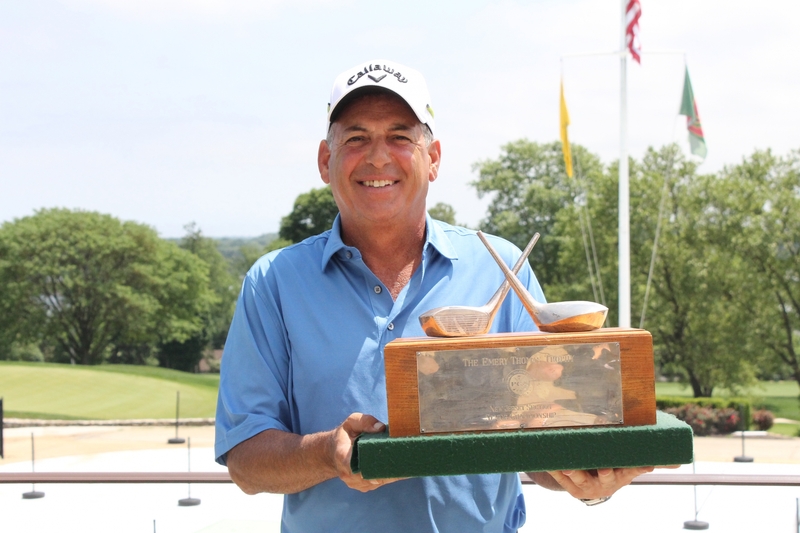 Frank Esposito had his shoes in his hands ready to leave Navesink Country Club, not knowing where he stood at the end of the NJPGA/NJSGA Senior Open. Before he walked out the door, he was told he was in a playoff with Rockaway River Country Club’s Greg Baker for a chance to put his hands on the Emery Thomas trophy. And after two playoff holes, Esposito, 53, did just that when Baker missed his par-putt on the par-3 17th to win his second Senior Open title. The victory marks Esposito’s first of the season. It comes less than a month after falling to David Reasoner in the Greg Norman Match Play Championship on the 19th hole. “It’s nice to be back in the winners circle,” Esposito said. Esposito jolted his round on the back nine with an eagle on the par-5 14th and birdie on No. 15 to put him at 3-under overall. On the 18th, Esposito had his second shot trickle down to the front of the green and made bogey to drop him to 2-under overall. Both Baker and Esposito made bogey on the first playoff hole on No. 18, but the Forsgate Country Club PGA Professional played an aggressive tee shot on the par-3 17th, knocking it just 10 feet by the pin. Greg Baker won the Senior Match Play Championship last year. Esposito did not play in the Senior Open last year due to scheduling conflicts with the Senior PGA Championship. Two-time defending champion Jim McGovern of White Beeches Golf and Country Club was tied for the leading heading to the back nine at 1-under, but made three bogeys to finish tied for eighth at 2-over. Last year’s runner-up Mark McCormick of Suburban Golf Club missed a birdie putt on the 18th to get into another playoff. He finished 1-under for the tournament in solo third. 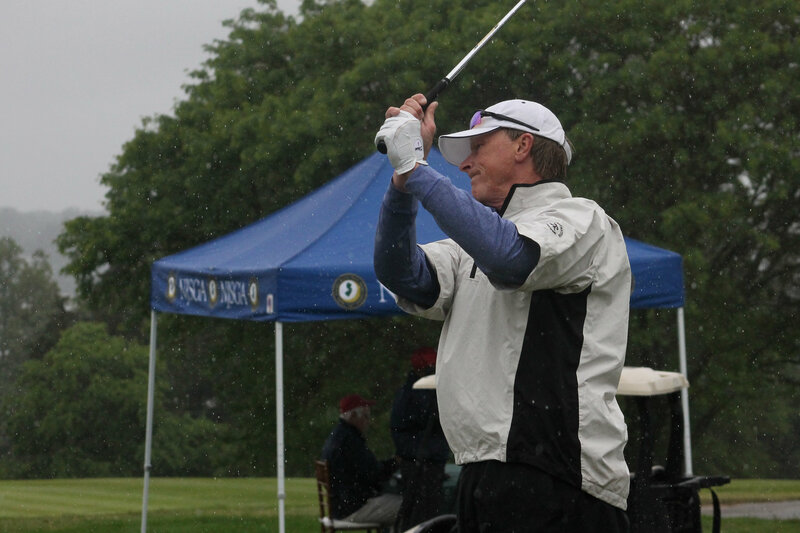 Bill Charpek, an amateur from Navesink, earned low amateur honors with a 10th overall finish at +3.